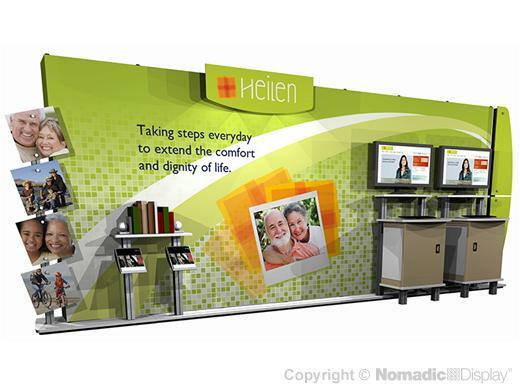 You want a trade show booth that can adapt to your ever-changing market challenges and expand your exhibiting footprint with out denting your wallet. Our 20’ hybrid display system is scalable to grow right along with your business needs from a 20' backwall to a 10' display. This DesignLine hybrid system offers: integrated A/V workstations with locking storage, shelving for product display with brochure holders and our Instand® frame is backed by an industry's best "No Questions Asked" Lifetime Warranty. 5 - FlatPack 300 - 14.02" x 29.72" x 52.56"